Quinstar 4L has a section 3 label for use in cranberries, and is useful for the control of dodder, yellow loosestrife and many other weeds in cranberries in New Jersey. 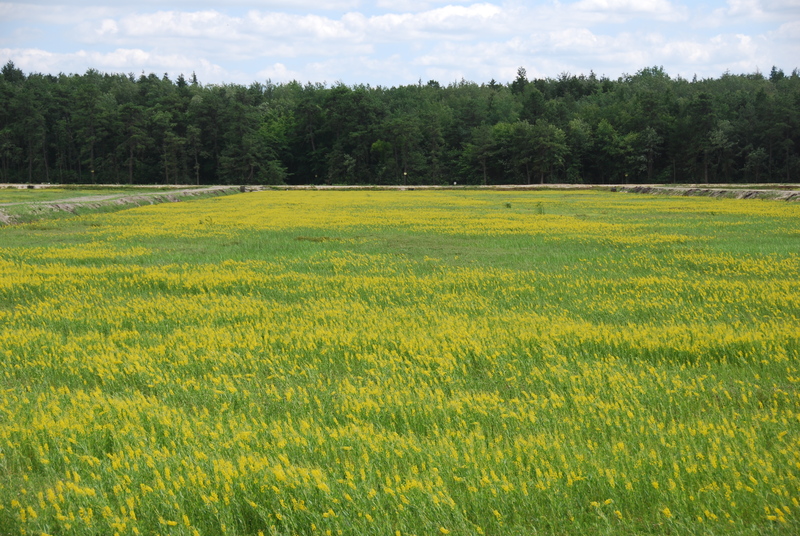 Quinstar applied in mid July controls yellow loosestrife in cranberries the following year. Apply one half pint per acre (0.25 lb ai/A) in the spring after the winter flood has been removed and prior to dodder germination and attachment to control dodder during the late spring and early summer. Quinstar 4L will also control a wide range of annual grasses, broadleaf weeds, rushes, and sedges in cranberries. the margin of crop safety is excellent. Quinstar 4L can be used in newly planted and bearing cranberries. Repeat the application in early July after cranberry bloom for full season dodder control and for yellow loosestrife control. 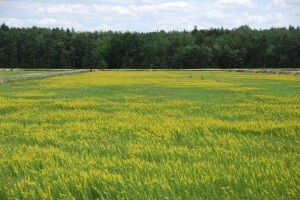 No affect will be observed on the yellow loosestrife will be observed after the July application the year of treatment, but the weed will fail to reappear the following year. Always add nonionic surfactant to be 0.25% of the spray solution, or crop oil concentrate at 2 pints per acre. Apply no more than 2 applications per year, with a minimum of 30 days between applications. Observe a 60 day PHI (Pre-Harvest Interval). Ocean Spray growers should consult with the cooperative before applying Quinstar 4L concerning the company’s policy on Quinstar 4L as it relates to European exports.